That’s right, kids! 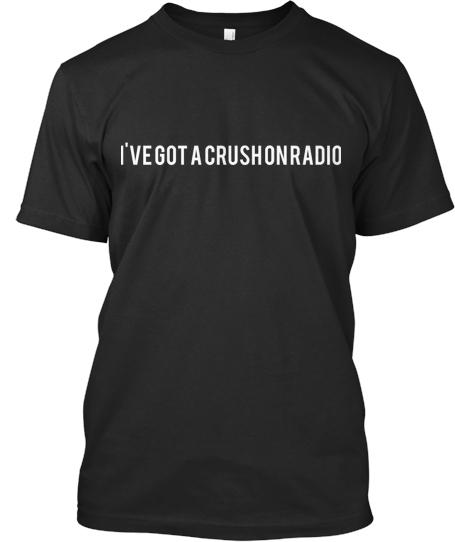 Now’s your chance to buy an official Crush On Radio t-shirt! Screenprinted on a quality black canvas ring-spun tee, it’s the perfect thing to wear to summer concert festivals, record stores, dance clubs, and any other place where there’s going to be music in the air. And it only costs you Fifteen American Dollars. That’s all. All proceeds benefit Crush On Radio and its staff. Crush On Radio T-Shirts! $15!